Ever since I was a young girl I always looked for out-side esteem; since entering recovery I finally realized how to build true self-esteem. Out-side Esteem was one of my biggest downfalls. I never truly felt happy unless I was getting praise from others. Even at my old job I would only feel worthy because I am helping others as a cook; but I would go home and still be judgmental about my writing or project. True self-esteem means for me the ability to be curious, creative and accept everyone’s uniqueness throughout life. My quote to remember this is “remember our mind is like a garden and our thoughts and ideas are the seeds, you can either grow flowers or weeds” thinking of this quote makes me remember no garden is the same they all have their own unique qualities some have roses some have daisies, some have fountains and others do not but what we must remember is that all gardens can grow weeds (we all can have negative thoughts) but some just don’t show. Man I hate when I have a frown. Moments when I do, I walk around town. Enjoying this new life; free. No longer doing the same wrongs. Thank God my life will be long. I have been struggling this week. I feel like I have grown more distant from my higher power. Things are becoming more difficult and I am feeling more and more discouraged. I am hoping that things will turn around and that I will go back to feeling spiritually connected. This of course will require me to become more open and surrender my life to something that I hope can help me. Hopefully the upcoming weeks will be better. I am coming to the realization that I am not only triggered by alcohol but I am absolutely terrified of it. Thinking of how my disease affected my life makes me feel absolutely miserable. Thinking of how powerless I am over alcohol makes me feel weak. I know that this realization will only make me grow stronger and make me look at my disease in ways that I have yet to discover. Recovery is tough, but hey.. So am I.
I’m healing. Slowly but surely. I’ve got my sponsor and call her every day. I go to my meetings and share as much as I can. I have a home group. I do what I can to help clean up after meetings and help set up. Recovery and service work has helped me so many ways. It helps me stay sober and serine. I am happy now and have a clear head on my shoulders. I surround myself with other people in recovery. Having friends in recovery makes me not feel alone and an outsider. Normies don’t quite understand, they don’t understand that I have a different way of life. 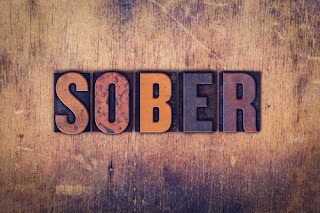 A sober way of life. I worship you through being in nature. I feel connected to you when I’m in your creation. I need you to love me and be by my side so I don’t feel alone. I need help to block out the thoughts of hurting myself and for you to take them away from me. I want to be willing to believe in you an believe in your plan for me and my life. When I talk to you I want to be able to hear you answer me. I want to feel as if my needs are important enough to be asked for. I want to surrender my will to you and trust in you. And when my thoughts take over I want to pray to you to take them away. I want to be able to feel your presence every time I walk outside. My life has become a mess and I can’t get it together on my own so I ask you for help. Help me to see the bigger picture and understand the plan you have for me.